All hotels must ensure they have the correct pricing strategy & sales activities in place to maximise occupancy and room rates. 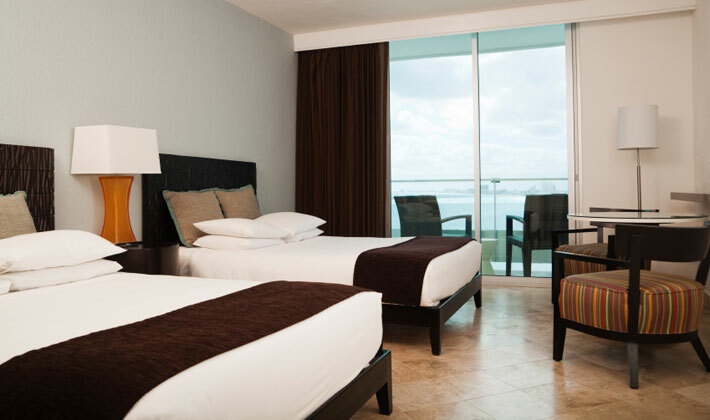 With rooms revenue in hotels up to 85% or even 90% of total revenue, even minor errors in this area can have a significant impact on occupancy levels, income and profitability. As a minimum they can look at your current Pricing Strategy, Distribution Channels, Segmentation mix, use of Yield Management system, Competitors & Market Share Analysis. 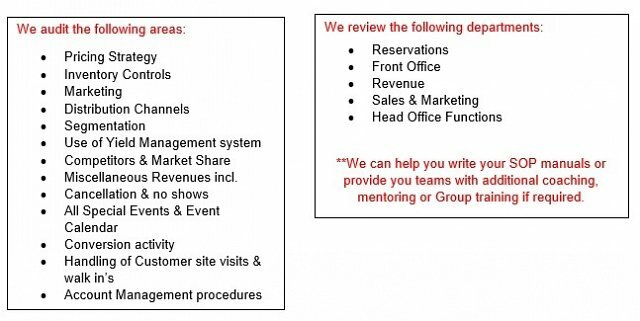 Sales activities including Account Management, Sales Conversion & Lead Generation. We would review your hotels or Head Office reservations and Meeting & Events departments to gain an overall understanding of the current level of internal controls with regards to revenue areas. We will assess current standard operating procedures and provide advice on maximising rooms revenue. We will review Meeting & Event conversion activity including the management & execution of customer site visits. If required additional training support can be provided to improve team conversion. All our auditors are industry professionals with many years of experience working at senior level. Our recommendations would include identifying changes which will improve all key processes resulting in increased revenue from rooms and other sales. Recent Case Study – Large Central London Hotel with nearly 400 bedrooms. A detailed report was written outlining our observations and recommendations, all findings were presented to the Senior Management. This allowed the hotel to review their entire revenue strategy making it more efficient and up to date. Profitability increased.